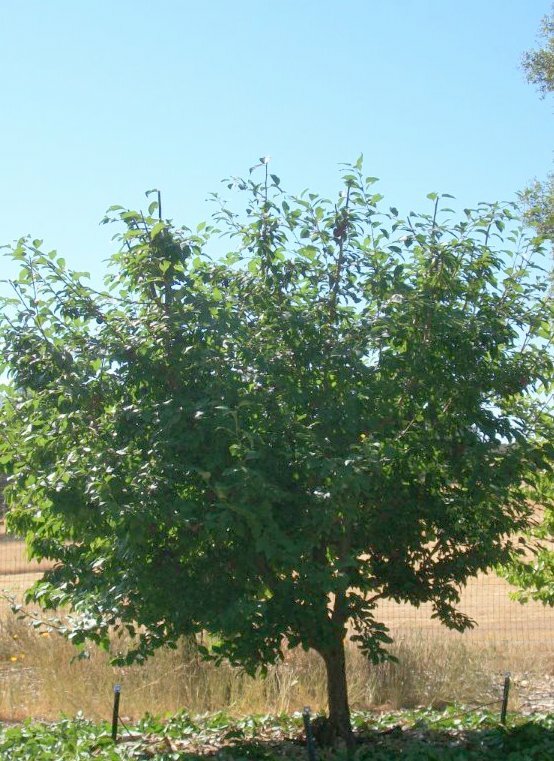 Tune up your fruit trees with some summer pruning! The photo on the left shows rampant spring growth and some suckers at the base of a plum tree. 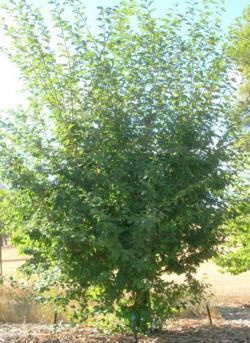 The photo on the right shows that removal of vigorous upright shoots brought the tree height back down to the desired height, and the base is cleared of sucker growth. After harvest, some additional summer pruning will help open up the center of the tree to more sunlight to encourage fruit bud development for next year’s fruit. Caution: hold off pruning apricots and cherries until August to avoid disease problems. For more information on fruit tree pruning and training see ANR publication 8057 (PDF).